Netflix may be one of the most-popular video streaming services on the planet but that doesn't mean that it's always a joy to use. A reliance on apps, internet connectivity, and third-party hardware can occasionally result in the official Netflix apps crashing, not opening properly, being unable to play movies and TV shows, or even just loading a black screen on your TV set or tablet. Here are some of the best ways to troubleshoot why your Netflix app isn't working properly on your smartphone, tablet, Samsung smart TV, Roku, or Xbox One and PlayStation 4 video game console. Even though the Netflix app is available on a variety of platforms, there are some solutions for fixing a faulty app that work across the board no matter what device you're using. Check if Netflix is down. If the Netflix app fails to load or a film or TV show won't start, it could simply be because the Netflix service itself is down or offline. One way to check if Netflix is down is to open another app on the same device that requires the internet such as YouTube. If that app is working properly then the issue could be with Netflix's servers. You can also check the Netflix service status on the official website's Is Netflix Down? page. Restart your device. It's become almost a bit of a cliché but restarting your device will actually often fix a faulty app or system problem. Check your internet connection or phone signal. If your internet is down, Netflix won't work. Make sure your Wi-Fi or cellular connection is switched on and that your device hasn't been put in Airplane mode by accident. Also try other apps to see if they can connect to the internet. Reboot your internet connection. If your internet is down or you seem to be connected but apps aren't working properly, the problem may lie with your internet service provider. One easy way to fix this is to reboot your connection to your provider by turning off your router and unplugging all of its cables from the wall. Wait around 3 minutes before plugging everything in again and turning it back on. Update your Netflix app. As with a system update, it's equally important to keep the Netflix app up-to-date as the latest version may be needed to run on your device or to connect to the Netflix servers for streaming media. An app update could also fix any Netflix error codes that you're getting. Log out of Netflix and Log in again. A simple solution but an effective one and it only takes a few minutes to do. Reinstall the Netflix app. Often deleting the Netflix app and reinstalling it will fix any problems you're experiencing. Deleting and reinstalling an app is fairly easy to do on most devices and usually only requires downloading it again from the relevant app store. If you're having trouble reinstalling Netflix on a Samsung smart TV, highlight the Netflix app with your cursor, press the Tools button on your remote, and then select Reinstall. Sign out of Netflix on all devices. Occasionally, using Netflix on multiple devices, even if your membership allows it, can cause conflicts within the Netflix servers. This can be fixed by logging out of Netflix on every device all at once. You can do this on the Netflix website in the Account settings that are accessed via the top-right icon after logging in. Make sure to click on Sign out of all devices, wait a few minutes, and then log back in on your device again. Update your operating system. Whether you're using a smart TV, gaming console, smartphone, or a tablet, you should always try to keep it up-to-date with the latest operating system as some apps will stop working if they know a system update is available. A system update can also fix any bugs that may be preventing the Netflix app from working properly. Obviously, we listed this last because it's a bit on the extreme end of things to try/do. Smart TVs are television sets that allow for apps to be installed directly onto them without the need for any additional hardware. There is an official Netflix app for some smart TVs and, unfortunately, Samsung's smart TVs are known to experience some problems with it. Here are some solutions to try if the above troubleshooting tips fail to fix the problem. Unplug your Samsung smart TV for 30 seconds. 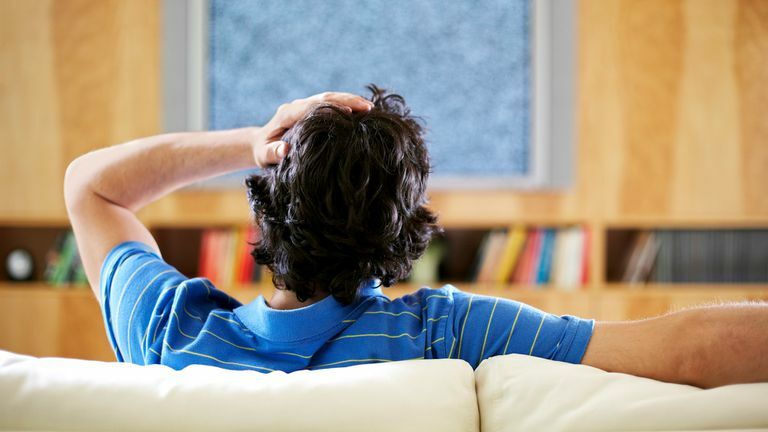 Turning the TV on and off again can often work but leaving it off for at least 30 seconds allows everything to completely reset and start afresh when it's turned on next. Disable Samsung Instant On. Samsung Instant On may get your TV up and running faster but this feature has also been known to conflict with some other functions and even some apps such as Netflix. Turning it off may get everything working properly again. To disable Samsung Instant On, open Settings and then click on General to locate disable the option. Do a hard reset. This should absolutely be the last thing you attempt when trying to get the Netflix app working again on your Samsung smart TV. A hard reset will return your TV to its factory settings which will delete all of your smart TV apps and settings. Thankfully, doing a hard reset is something that the Samsung remote management team can do for you and it only takes between five to 10 minutes. Simply call Samsung technical support on 800-SAMSUNG and ask for the Samsung remote management team to do a hard reset on your smart TV set. If the general tips above don't work in getting the Netflix app working on your Roku, the best solution may be to deactivate your connection to the app and then reactivate it. Here's how to do it on each Roku model. Roku 1: Press the Home button on your Roku controller and then click on Settings and then Netflix Settings. You should see the option that says Disable. Click on it. Roku 2: From the Home Menu, highlight the Netflix app icon and press the star key on your Roku remote. Click on Remove channel and then click on it once again to confirm the deactivation. Roku 3: From within the Netflix app, move the cursor to the left to open the Netflix menu. Click on Settings and then click on Sign out and then Yes. Microsoft's Xbox One consoles feature a variety of popular streaming apps such as Twitch, YouTube, and of course Netflix. If you're having problems getting the Xbox One Netflix app working as it should and you've tried all of the general advice mentioned above, you may need to try the following fixes. Check if Xbox Live is down. Many Xbox One apps and features won't work if the Xbox Live online service is down. To check if it's working, visit the official Xbox Live Status web page and see if there's a green checkmark next to All apps are operating normally. If there is a checkmark, then Xbox Live app functionality is working normally and the Netflix app problem is caused by something else. If there isn't a checkmark next to it, then parts of Xbox Live may be down and you'll have to wait for it to come online again. This could take anywhere from a few minutes to a few hours. Quit the Xbox One Netflix app. If the Netflix app is buggy on your Xbox One, you can try quitting it and re-opening it again. To do this, press the circle X button in the center of your Xbox controller to bring up the guide and select the Netflix app from the list of recently used apps. Once it's highlighted, press the menu button with the three lines on your controller and then press Quit from the popup menu. Netflix should completely close and you can now open it again as per usual. Like the Xbox One, Sony's PlayStation 4 console can also run streaming apps like Netflix. If you're encountering problems with your Netflix app on your PS4, try the following two solutions in addition to the tips at the top of the page. Check if PSN is down. If the PlayStation Network online service is down, it could be preventing some of the apps from working. You can check if PSN is running via its official status page. Quit the PS4 Netflix app. PlayStation 4 apps will continue to run in the background even if you switch to a video game or another app. Closing your open apps can not only improve the performance of your PS4 but can also refresh the apps to fix any bugs that you may be experiencing. To close a PS4 app, highlight its icon on the home screen and press the Options button on your PS4 controller. A new menu will pop up with the option, Close Application. Click on it to close the Netflix app. You can now reopen it again as you usually would.